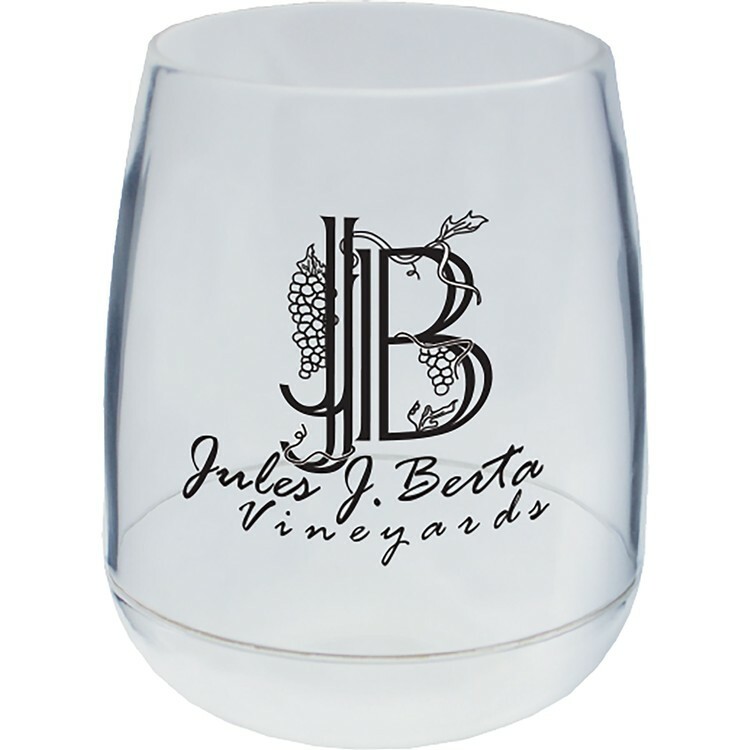 Stemless...The Most Popular Way to Serve Wine! 12 oz. Stemless Wine Glass is Made in the USA of crystal clear heavy duty Styrene plastic and available in clear, and 5 elegant colored bases. Includes a one color, one location imprint with multi-color and full color process imprinting available. Also available in 8 oz. and 16 oz. sizes. Durable, reusable, top rack dishwasher safe, BPA free and recyclable. PRODUCT COLORS: Clear, or 5 stock base colors, see "Options" above for color choices. Custom colors available with a 5,000 piece minimum. SPOT COLOR IMPRINT: Price includes a one-color imprint on one side in a 1.625” x 1.625” area. See “Options” above for standard imprint colors, PMS color match, additional imprint color charges and 2nd side imprinting charges. 4-COLOR IMPRINT: Available on one side only in a 1.625”w x 1.625”h area, see “Options” above for pricing.